Happy Turkey Day! 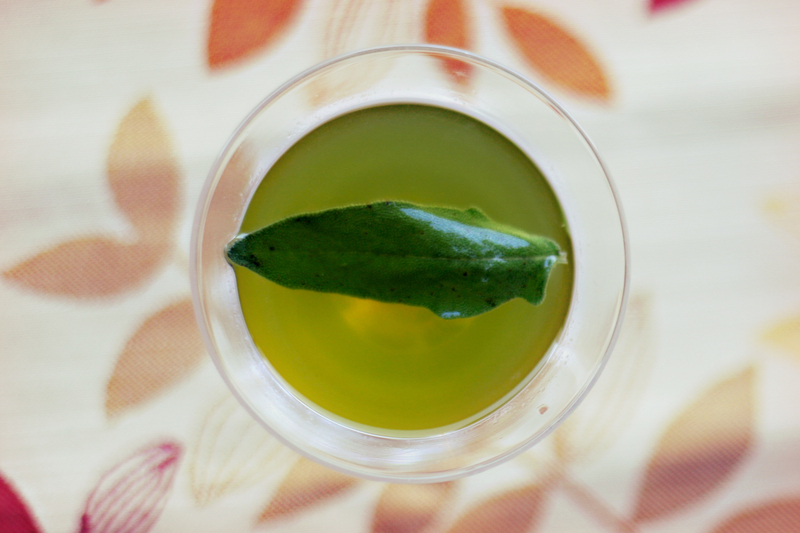 In honor of the day — and the best part of the meal, stuffing — I have made a drink based on sage, which is the primary spice in stuffing. And is delicious. Interesting note in the preparation of this drink: I wanted it to be like a martini and even though it’s not, it’s still very small. You might want to double it to make it more of a normal size, but keep in mind that then there’s a lot of alcohol. Not the worst thing after a day of eating, but still. 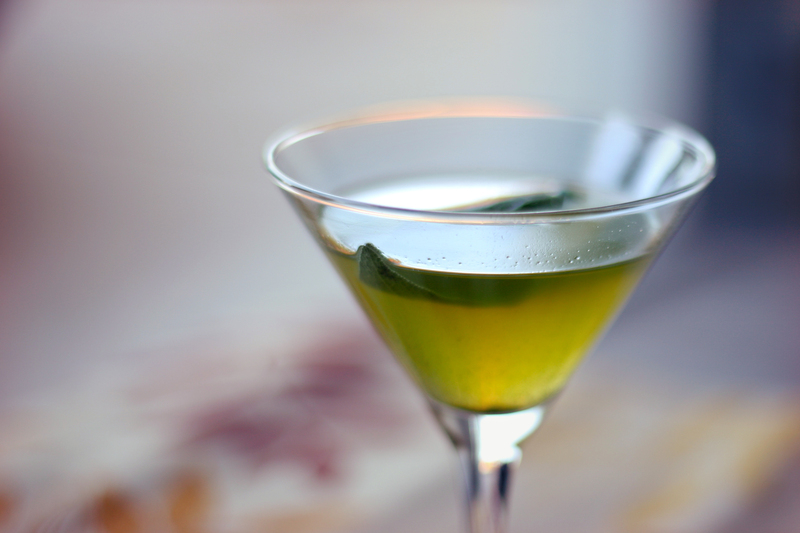 Why are martinis usually the same price as other cocktails? They’re so alcoholic, so you’d think they’d cost more. I’m confused. Anyways, on to the drink. BN: I really liked this. 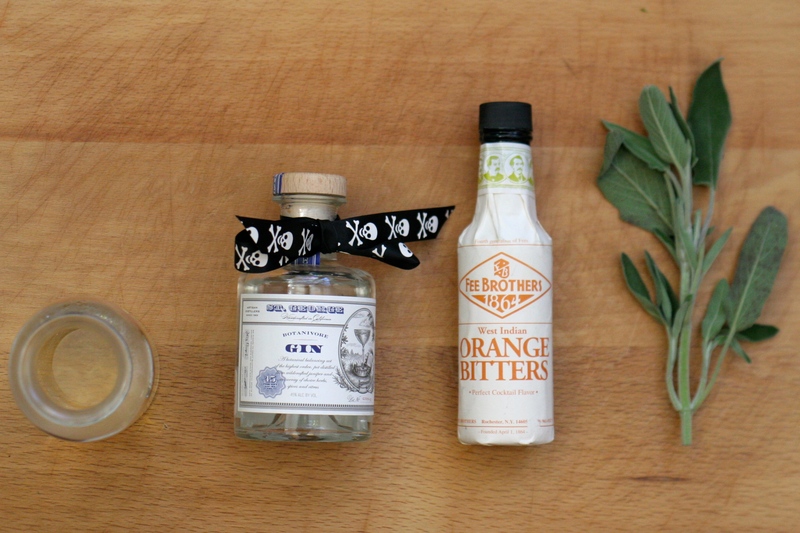 I was worried a little about how simple it was, but the orange and sage worked really well with the gin, and it had the right amount of sweetness to counteract the fact that I don’t like gin. I loved the way it looked, with such an interesting shade of green and the floating leaf (though it does slowly sink which is a little awkward) and would be interested to see how a full-sized version would hold up. Not that I meant for this to be a mini size, but that’s how it turned out. I would make this again! PiC: I appreciate that this is probably a good drink, even if I don’t like it – too alcoholic for me. 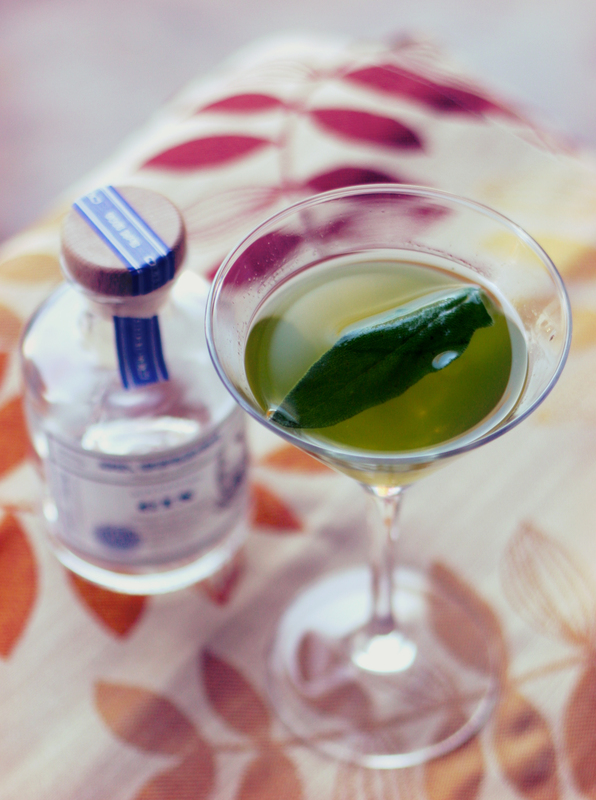 Still, I can tell it has the right amount of sweetness to temper the gin-ness, and the sage is a nice flavor. In summary, it’s probably perfect for your more boozy relatives (read: most of mine) pre-turkey dinner.